Memorial Day, which will be here is less than one week, unofficially kicks off all that is summer. And what better way to celebrate then to pack a picnic basket with absolutely delicious recipes. 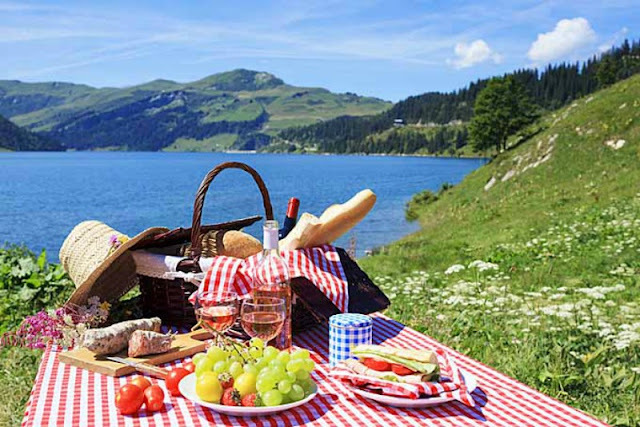 Even if you’re not packing a picnic, these recipes are sure to please the crowd! Starting off with a few tips to make the best of your day, let’s go over a few essentials. Wet Wipes, Salt and Pepper, Paper Towels, A Tray, Serving Spoons, Folding Knife and Trash Bags. 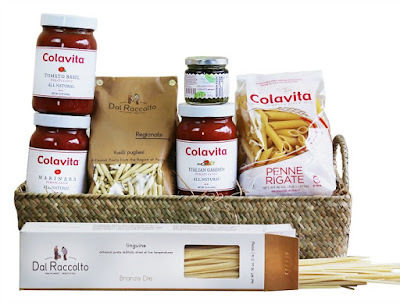 If you want to make life a little easier, or are looking for the perfect hostess gift, pick up a Colavita Perfect Pasta Basket ($55). This basket from Colavita has everything that you’ll need for the recipes below. Now, let’s get to those yummy recipes! Unlike most potato salads that hold well for hours (if not days), this potato salad with basil pesto and sun-dried tomatoes is best served right away when the potatoes are warm and tender and the pesto is still a vibrant green. Note: You can make the pesto up to 2 days ahead. 1Place the potatoes in a medium pot and cover with cold water by a couple of inches, about 2 qt. water. Stir in 2 tsp. salt and bring to a boil. Reduce to a simmer and cook until the potatoes are tender when pierced with a fork, about 15 minutes. Drain well and transfer to a large serving bowl. 2Meanwhile, put the basil, ½ cup of the Parmigiano, the pine nuts, scallions, and ¼ tsp. each salt and pepper in a food processor and blend to combine. While still blending, add the oil in a thin, steady stream so that the mixture becomes smooth and uniform; thin with more oil as needed for consistency. Season with more salt and pepper to taste. 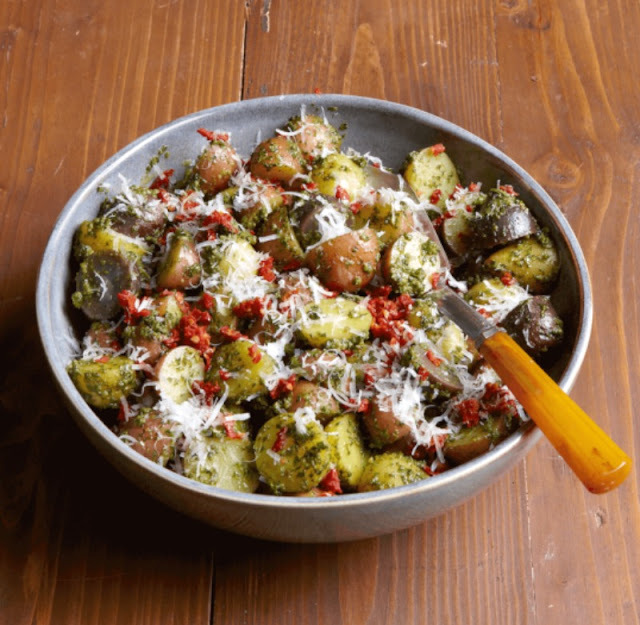 3Toss the warm potatoes with the basil pesto. Sprinkle the potatoes with the sun-dried tomatoes and the remaining ¼ cup Parmigiano and serve. 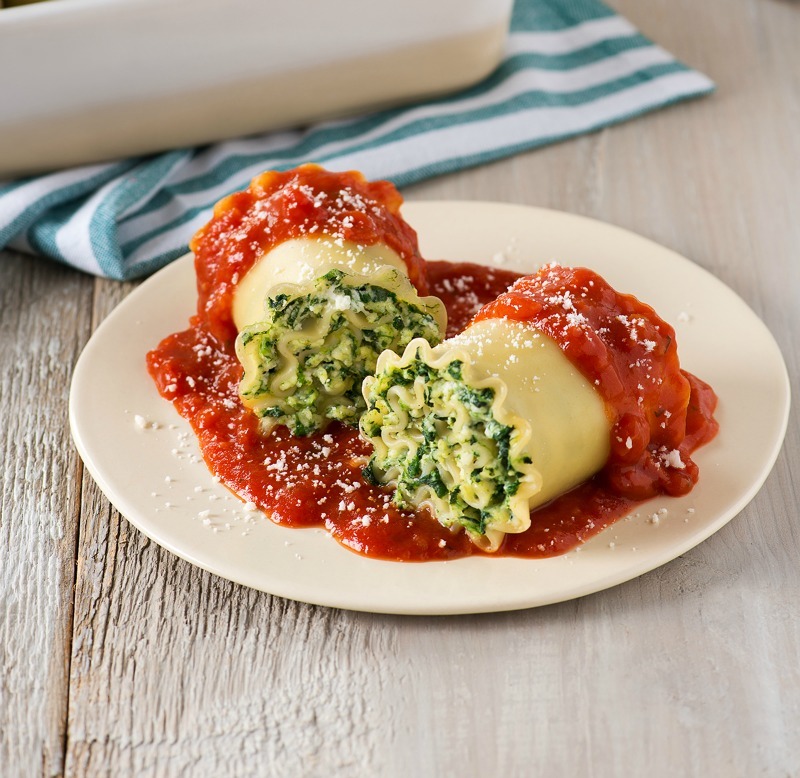 This attractive way to serve lasagna not only makes a great presentation, but is delicious as well. Serve them as appetizers at your next gathering. 1In a large mixing bowl combine the spinach, cheeses, egg, nutmeg, salt and pepper; mix until well blended. Take one lasagna noodle, spread with about 1-1/2 tablespoons of the cheese mixture; roll it up gently so the cheese mixture stays in place. 2Continue until all the lasagna noodles are used. Place rolls in the refrigerator for about one hour or until the cheese becomes firm. 3Taking one roll at a time gently cut in half down the middle (a serrated knife works best). Layer a large baking dish with two cups of marinara; place florets on top with the curly side up. 4Cover with foil; bake at 350 degrees F for 30 minutes; uncover and bake for 10 minutes more, or until the sauce is bubbly and the cheese is melted through. Serve with the extra sauce and grated cheese. 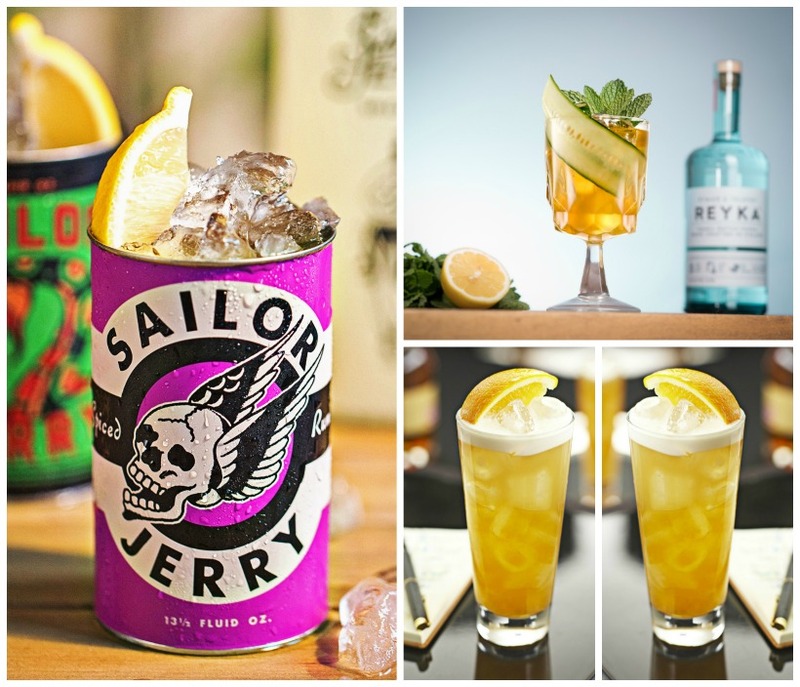 You can’t have a summer picnic without some luscious libations! And these from Sailor Jerry, Hudson Bay and Monkey Shoulder are sure to delight! Serve on the rocks or in a pitcher for large groups. Fill long glass with ice. Pour ingredients in glass and gently stir. Garnish with orange wedge. Combine all ingredients into cocktail shaker. Shake, garnish, serve.